Pregnancy is a very emotional time in a woman's life. It is quite common for pregnant women to experience vivid and frightening dreams which can stay with you after you wake. These lifelike dreams are most likely due to the large increase in hormones during pregnancy. The hormones have a big effect on the emotions. During pregnancy, the hormones estrogen and progesterone increase more than ever. The emotional struggle that the pregnant woman can experience during the day can make such an impression that you can take these impressions when you go to sleep and express themselves in your dreams and fantasies. 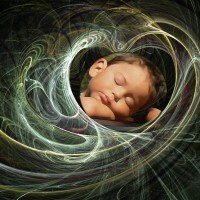 Most women experience some abnormal dreams during pregnancy. In a single case, a dream can disturb you or worry you. In your dreams you process what you experience during the day - if you are anxious, this will manifest in your dreams You can have dreams about your baby's health, gender, birth or other concerns. When you wake up, can you remember what the dream was about? If so, try to think how you felt during your dream. Did you feel happy? Sad? Scared? Grab a pen and paper and write down what you remember to remember the dream and how you felt. Try to connect your dream to a feeling you currently have in your life. Is there a reason why you might feel scared, hurt or disappointed? Listen to what your dream tells you and see if there is a link with a feeling in daily life. Many pregnant women dream about, for example, losing keys or forgetting other important things. You can dream that you've forgotten to feed your baby, you've been shopping and left your baby in the store. Some women dream that they do not have everything in their house and baby is on his way.